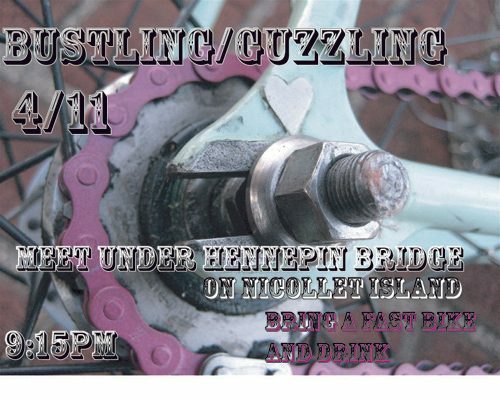 If you’re not absolutely exhausted from the weekend and you live in Minneapolis, head over to the Bustling and Guzzing event. There’s more information at Bike Jerks. Sounds like a rad time, so make it out!